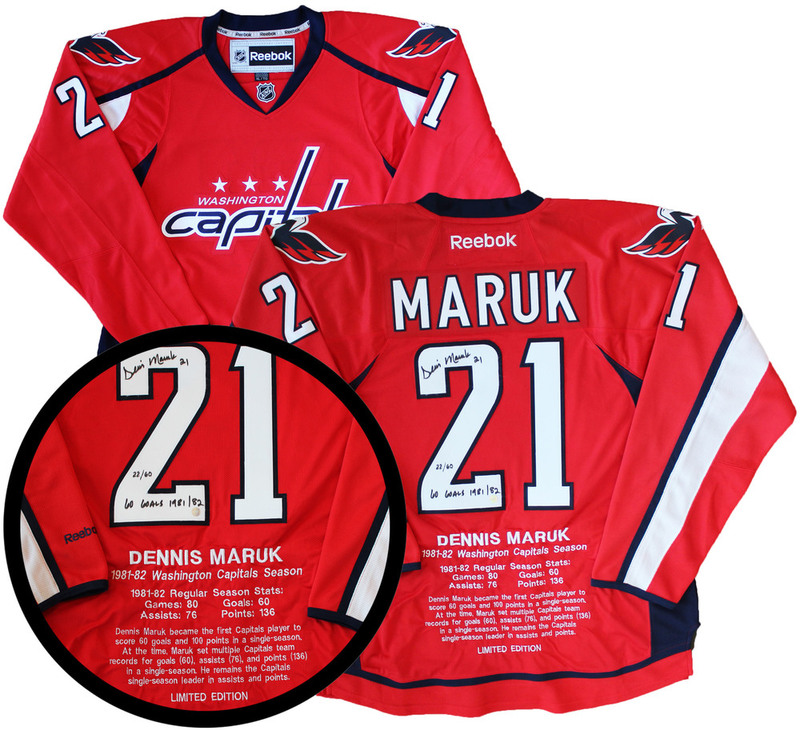 This jersey has been personally signed by Washington sniper, Dennis Maruk. Maruk had a career year in 1981-82 season putting up 60 goals and 136 points in 80 games. Maruk was the first Capitals player to score 60 goals and 100 points in a single season. At the time, Maruk had set the record for goals, assists, and points but only the record for assists and points still belongs to him. A Frameworth hologram and certificate of authenticity are included to ensure the authenticity of the signature. Frameworth is an official licensee of the NHL & NHLPA.